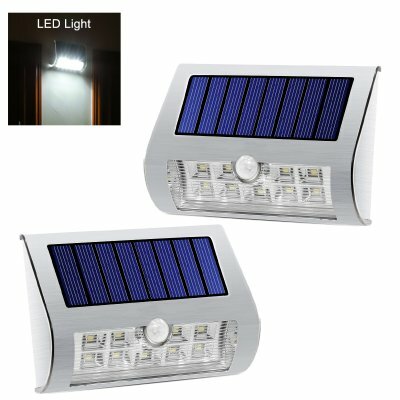 Successfully Added Solar Powered Outdoor LED Lights - 2 Pieces, Stainless Steel, IP44 Weatherproof, PIR Motion Detection, 80 Lumen to your Shopping Cart. These two solar powered LED lights are the perfect pair of outdoor lighting for your garden or driveway. Being easy to install and featuring a weatherproof IP44 design, these motion detection lights can be placed nearly anywhere without any further hassle. Emitting up to 80 Lumen of bright white light each, these outdoor LED lights are sure to light up the pathway for anybody who’s nearing your property after dark. Thanks to its advanced PIR motion detection sensors, you can be assured that not a single movement will stay uncaptured so that your visitors can always enjoy a lit up path or driveway. Crafted out of stainless steel, these two PIR LED lights are extremely durable. Its PIR sensor has a range of approximately 5 meters and a 90-degree viewing angle. Thanks to its different lighting modes, you can choose from plenty of ways to light up your driveway. Besides lighting up the area when motion is detection, you may also select its continuous lighting mode where these outdoor lights will constantly light up the pathway with dimmed light even when no motion is detected. Additionally, it can be programmed to light up automatically after sunset to make sure your property is always lit up and protected. 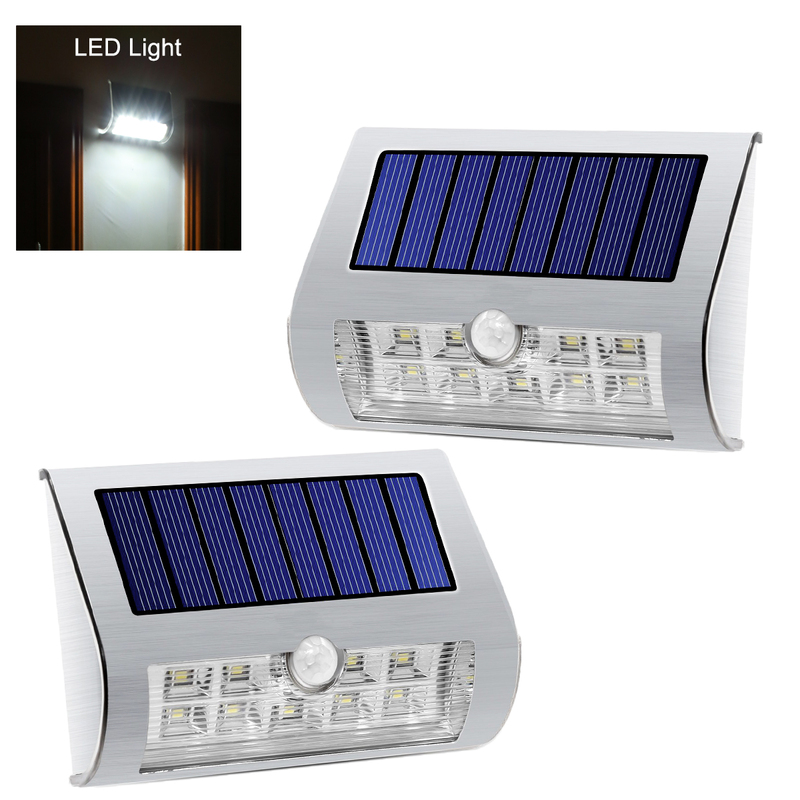 Featuring built-in solar panels, these PIR outdoor LED lights will never run out of juice. From now on you can be assured that your lights always have the power needed to get through the longest of nights as its fully charged battery provides up to 8 hours of usage time. These outdoor LED lights come with a 12 months warranty, brought to you by the leader in electronic devices as well as wholesale electronic gadgets..